You don’t want to be surprised by a computer crash. Protect all of your important data, files, photos, financial records, and more. Let me help you prepare your system for the worst, because it’s not a question of IF the drive will fail, but WHEN. Have your computer set to automatically backup your important data remotely. I can inform you and install several different reliable solutions to securely back up your important files. 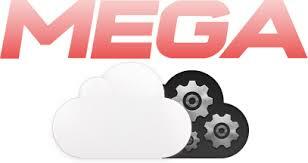 Here are links to the ones that I use- Mega, Box.com, Microsoft OneDrive, iDrive with 5GB Free, or DropBox. If an online backup plan is not to your liking or your internet speed not fast enough, I can also help you with a local backup solution. As we live an increasingly digital life, we can’t afford to ignore the enormous amount of data that we create. We’re well on track to make well over 2 zettabytes of data this year. That’s 21 zeros! Think about all the precious baby videos, financial documents, love letters, business emails and wedding photos that you’d lose if it isn’t backed up. The hard drive is the component in your computer that has the highest chance of breaking unexpectedly. A hard drive consists of a head unit hovering over a special disc that spins 7,200 times a minute! One little bump and that head could crash into the spinning disk. And the crash itself isn’t what causes the most damage. It’s the loss of the data on that drive. If any other computer component fails, usually a new part can be switched out and the computer will be exactly the same as before. On the other hand when your hard drive crashes, you won’t be able to get your data back (unless you have an massive amount of money to spend on data recovery).